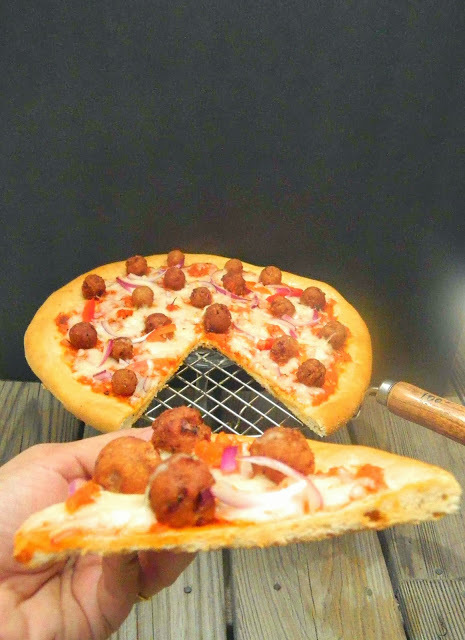 Preparing the dough and sauce, also you can make the mini veg kofta balls if using to top the pizza, everything refrigerate till you use. 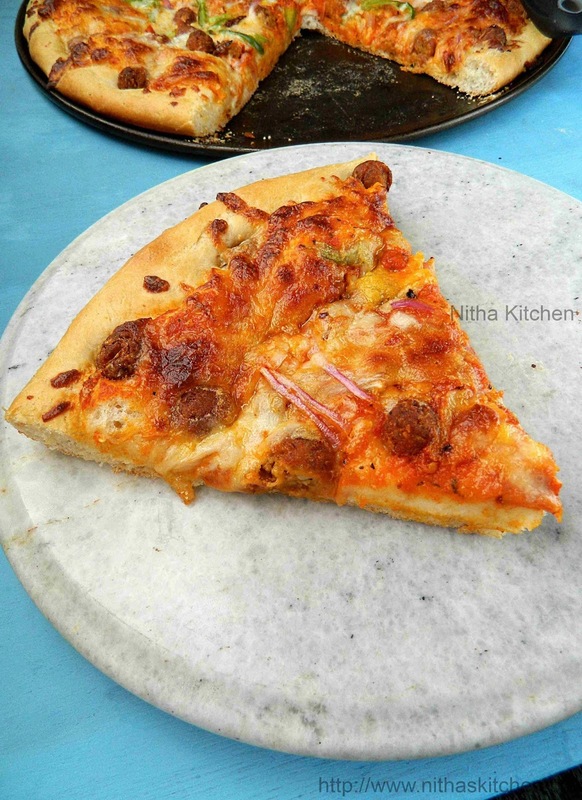 Make ready with other toppings like slicing onion,capsicum,tomato,cheese and bake the pizza. Any sliced or chopped veggies of your choice such as capsicum, sliced onions,mushroom, paneer,sliced jalapenos, even fruits such as pineapple. For Non veg topping check the recipe here. 1 Cup or more – Parmesan or Mozarella Cheese grated (depends on the size of the pizza). If using fresh tomatoes add the tomatoes in hot boiled water for 5 minutes and then peel the skin. Pulse the tomatoes and their juice in food processor/mixie until pureed or puree with hand blender. Add garlic, onion, oregano, dry basil (if using), pepper flakes and large pinch salt and cook, stirring frequently, until fragrant but not browned, about 3 minutes. Add tomatoes, basil sprigs and sugar, bring to a simmer, reduce heat to lowest setting (bubbles should barely be breaking the surface) and cook stirring occasionally, until reduced by 1/2, about 40 minutes-1 hour. Adjust salt to taste. Allow to cool and store in covered container in the refrigerator for up to 2 weeks. Combine flour, sugar, salt, and yeast in bowl of food processor or in a bowl (Pic 1). Pulse 3 to 4 times until incorporated if you have food processor. 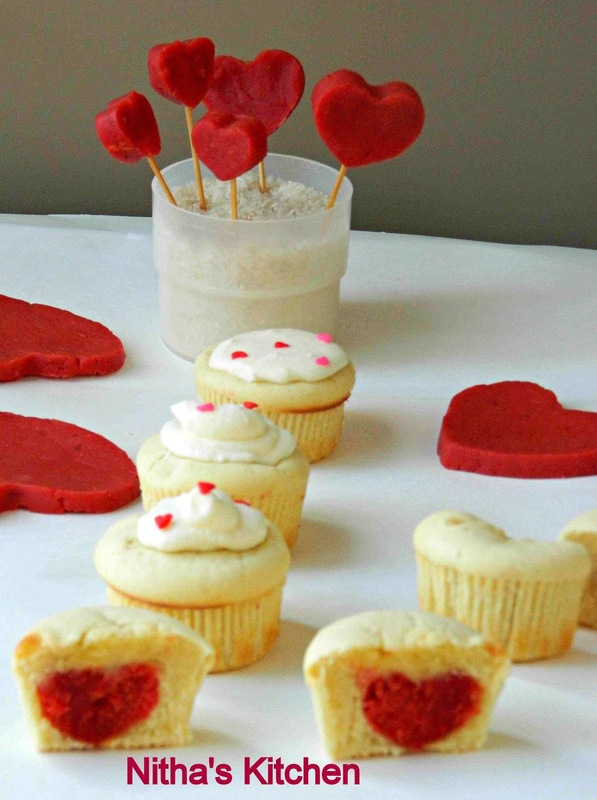 otherwise mix well together with the help of the whisk. Add olive oil and water (Pic 2). Run food processor until mixture forms ball that rides around the bowl above the blade, about 15 seconds. Continue processing 15 seconds longer. Those who don’t have food processor. 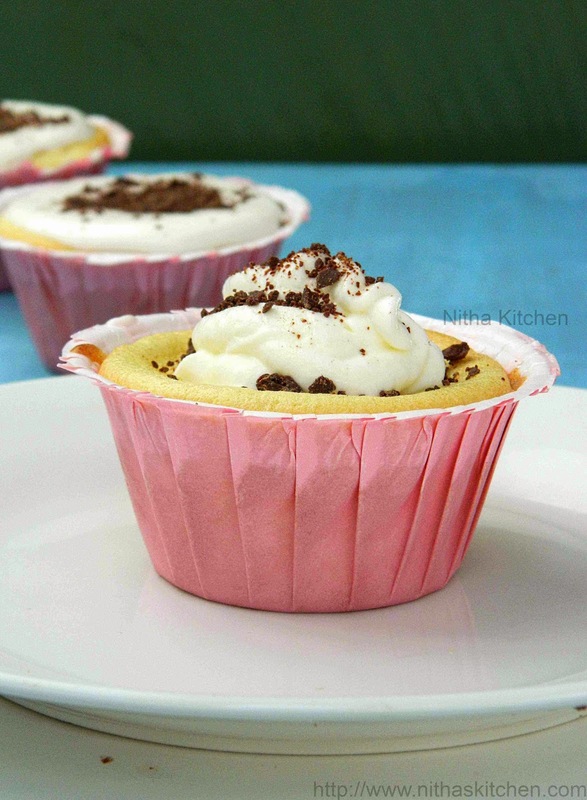 try it with hand mixer or stand mixer or knead it with your hands like chapathi/roti dough. The dough will stick a bit (Pic 3). Transfer dough ball to lightly floured surface and knead once or twice by hand until smooth ball is formed. It should pass the windowpane test (Pic 4). 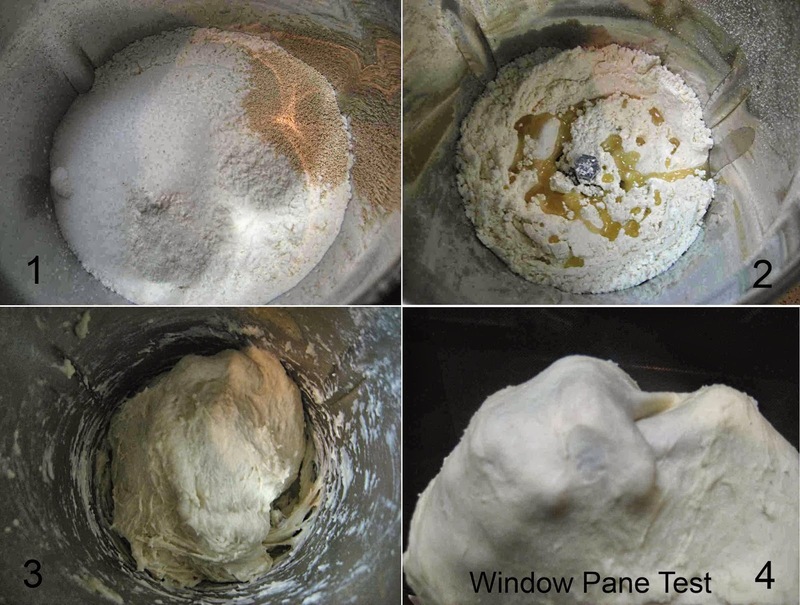 Window pane test is nothing but an indication that the amount of gluten formed, If you can stretch the dough without breaking (Pic 4). Divide dough into three even parts and place each in a covered quart-sized deli container or in a zipper-lock freezer bag (Step wise Picture 1 below). Place in refrigerator and allow to rise at least one day, and up to 5 (I allowed 24 hours, Pic 1). Flour well and place each one in a separate medium mixing bowl (Pic 2). Cover tightly with plastic wrap and allow to rise at warm room temperature until roughly doubled in volume (Pic 3). 1 hour before baking, Turn single dough ball out onto lightly flour surface. Gently press out dough into rough 8-inch circle, leaving outer 1-inch higher than the rest. Gently stretch dough by draping over knuckles into a 12 to 14-inch circle about 1/4-inch thick (Pic 4). Transfer to pizza pan also sprinkle corn meal to the pan before placing the pizza. Bake the pizza for 7 minutes in preheated oven at 400°F and allow to cool completely before adding the sauce and toppings. But the original recipe calls for direct baking with sauce and toppings and no pre baking of pizza base. Apply Olive oil for the edges of pizza base. 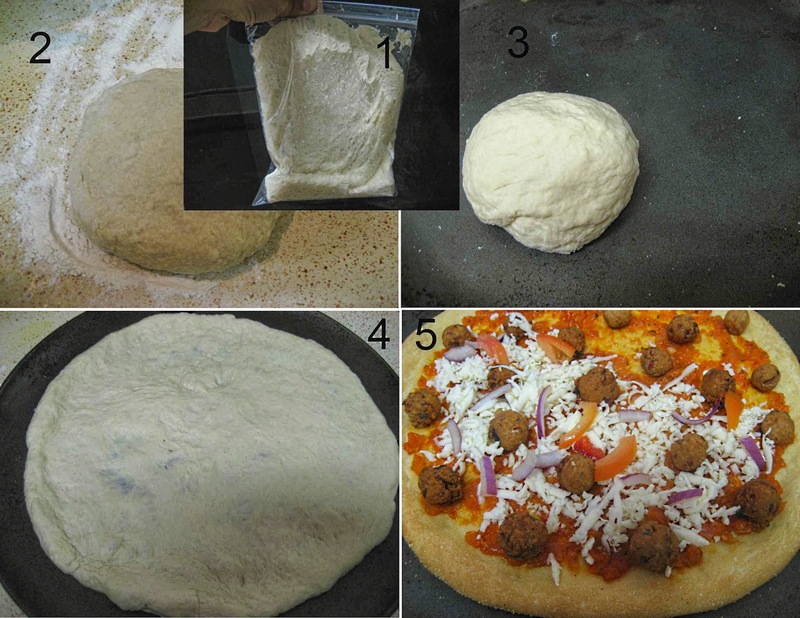 Spread approximately 2/3 cup of sauce evenly over surface of crust, leaving 1/2 to 1-inch border along edge (Pic 5). Add toppings (I usually freeze sliced onion,capsicum,tomato and shredded cheese for a while for even cooking) of your choice evenly and spread 1/3 of cheese over sauce evenly (Pic 5). Bake until cheese is melted with some browned spots and crust is golden brown and puffed, 7-10 minutes or varies depends on your oven. Transfer to cutting board, slice, and serve immediately. Repeat with remaining dough balls, remaining sauce, and remaining cheese. 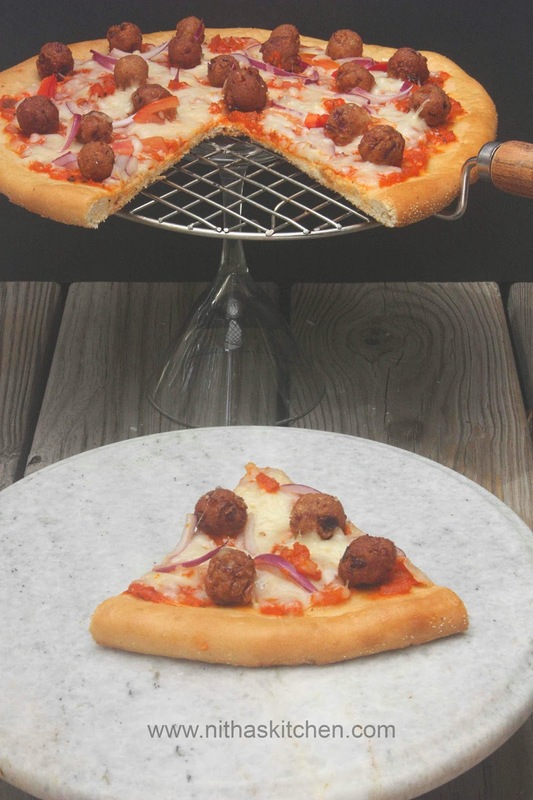 I usually use one 16″ pizza pan and 2/8″ inch cake pans while making this quantity pizza. 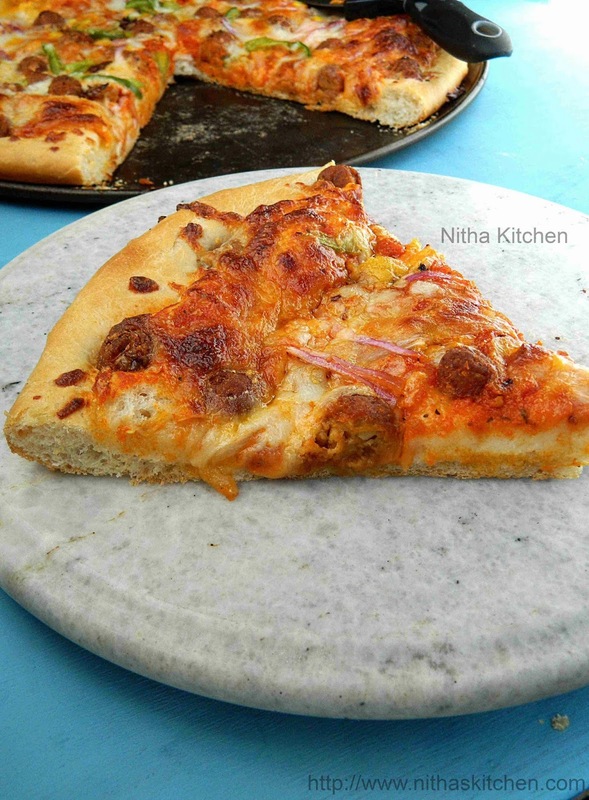 The above said inch measurements gives perfect thin crust pizza, if like to make thick pizza (shown below) then reduce the size of stretching and follow the same procedure. Try to loosen the pizza as much you can to get thin crust, before start baking. wow wow such an tempting pizza there 🙂 looks so yummy and tempting dear !! very nicely explained and lovely clicks !! 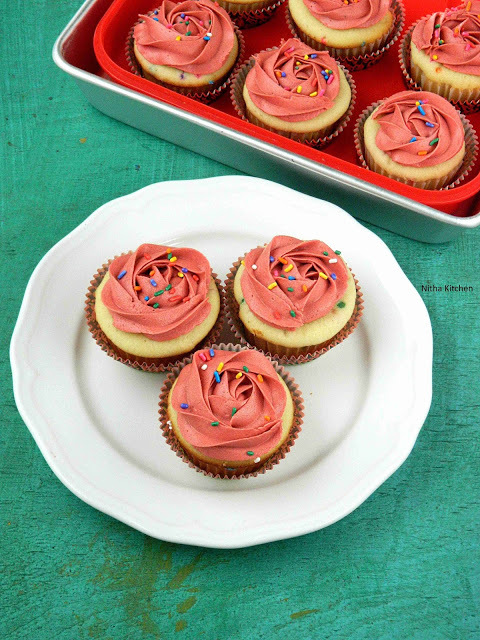 Nice detailed recipe, Thanks for sharing looks yum too. Love that topping, wat a gorgeous pizza, i dont mind inviting myself to ur place. 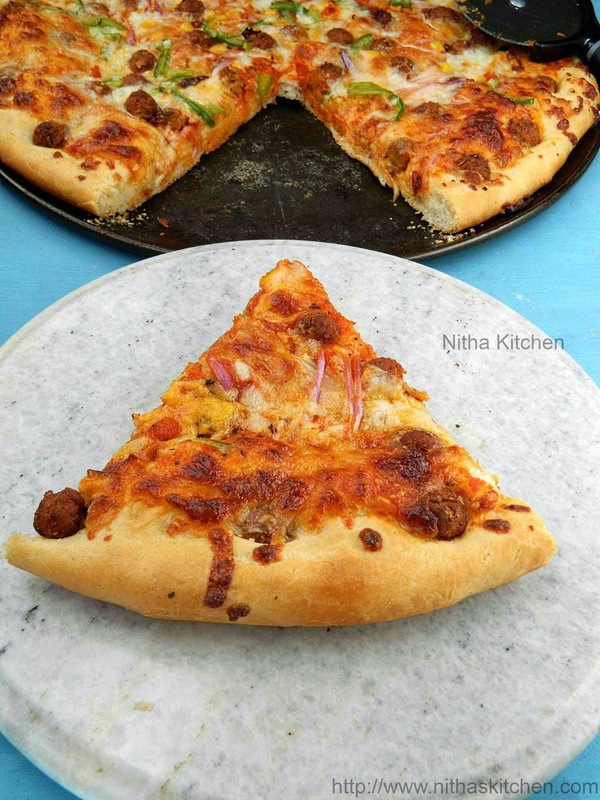 Very tempting and delicious pizza, looks perfect and lovely clicks,,,. wow..pizza looks so tempting and delicious, nice n healthy topping sangee…lovely pics n beautifully presented! Awesome pizza ..looks yummy and inviting. Wow…pizzas looks great …love it to the core! 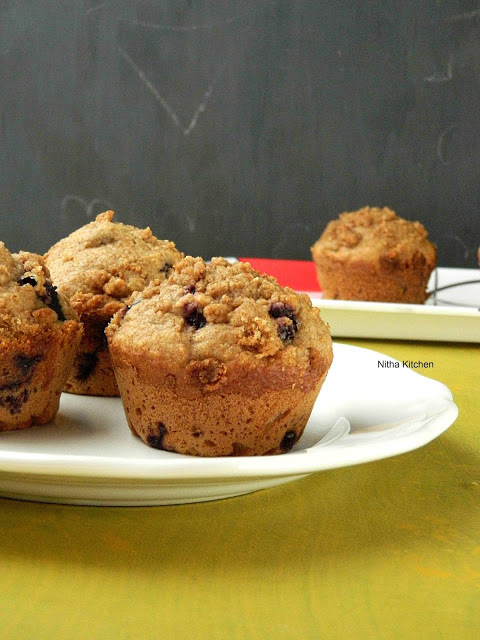 Great recipe and looks fabulous! On going event WTML. Kindly participate and win the give away.